28th August 2015 – PACE Sports Management is pleased to announce that NCAA 100m and USATF 200m Champion Jenna Prandini has joined our group. A native of Fresno, California 22 year old Prandini had an excellent career at the University of Oregon winning the 2015 NCAA 100m title and the 2014 Outdoor and 2015 Indoor NCAA long jump titles. In addition to her 100m success at the NCAA Championships this year Jenna won silver in the 200m and long jump. In 2014 her NCAA long jump victory was backed up with silver in the 200m and bronze in the 100m. Jenna comes to PACE Sports Management with personal bests of 10.92 (100m), 22.20 (200m) and 6.80m (long jump). She will compete for Puma. Follow her on Facebook, twitter and Instagram at @J_Prandini. “Thank you everyone for all the love and support. I couldn’t be more excited to start my next step and be part of the Puma family. I will be represented by Ricky Simms of PACE Sports Management and I have signed a contract with Puma. I would not be where i am today without my family, friends, teammates and coaches. I am so grateful for all of the opportunities the University of Oregon has provided me with. I have created some incredible memories wearing the ‘O’ on my chest that I will cherish forever. My life long dreams are turning into reality and I cannot wait to see what the future holds”, said Jenna on her social media earlier today. 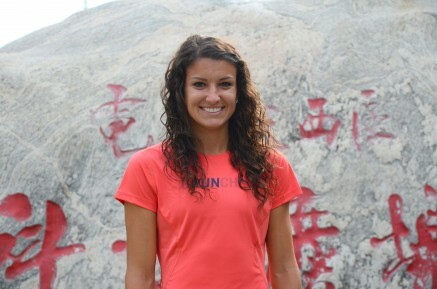 “Jenna Prandini is a fantastic athlete and has been a pleasure to deal with. She has great support from her family and we will aim to help make her transition from collegiate to professional T&F as smooth as possible. She achieved greatness at the University of Oregon and joins fellow graduates Matthew Centrowitz, Galen Rupp, Laura Roesler and Jordan Hasay in the PACE family”, said PACE CEO Ricky Simms.